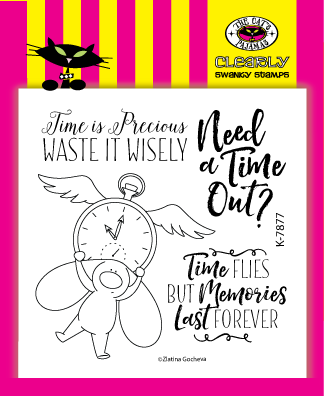 It's the new release of The Cat's Pajamas and our blog hop will not disappoint in showing you all the awesome new sets and creations the kitty cat pack have done. 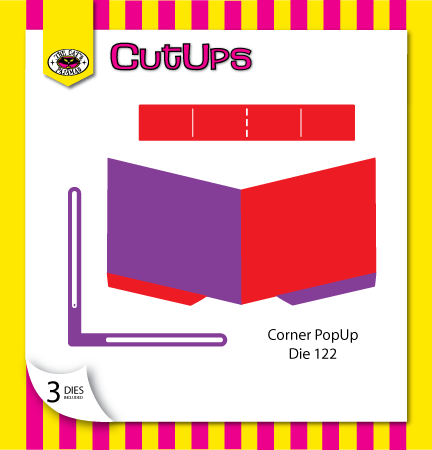 For my peek of what I have used is the new Corner Pop Up Cut Up along with the new set of Time Out. This is the outside of the card decorated with the other new Cut Up of the Clock to intrigue the recipient to open the card to see what this "time" is all about. Once opened, the inside comes to life with clouds and the image from Time Out. The sentiment is stamped directly onto the card base. I decorated the edges using an accent stamp from Simply Stacked for an added design. Here is a closer look at the pop up. I did used the pop up twice to make for a double cloud scenery, but the beauty of this Cut Up is that you can design it any which way you want or what works for your project. To see more, you can check out Alma's video on YouTube here. The clouds used for the background is the TCP Cut Ups of the Cloud Border and Stitched Clouds. 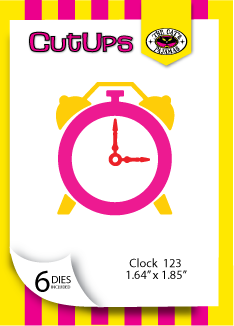 This makes for such a fun card to give using different ideas! Are you IN IT TO WIN IT? Be sure to hop along and leave a little love for your chance to win a TCP Store gift certificate. Who wouldn't want that?! AND to top off this holiday weekend, Alma is offering up to 40% off in the store!! Thanks for hopping in and head on over to Jessie's Blog for more inspiration! I love the way you created the inside of your card, what a surprise to open it and have such a cute pop up! This is adorable. Just love it. I love hearing from you...Thank you for taking the time to leave your kind comments!